Sometimes size really does matter. Our towels are extremely small to fit in the smallest of spaces. 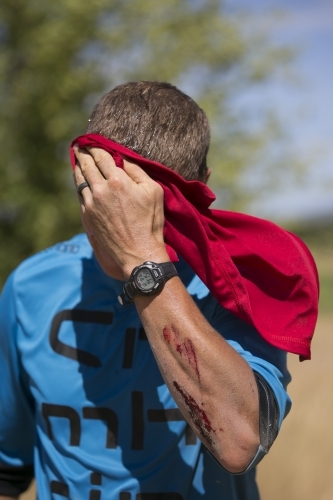 Our "EXTREME" ULTRALIGHT towel is a must-have for serious backpackers. Featured in BACKPACKER magazine's "Essential Gear Guide", you know it must be good! Practical and Luxurious? Travel towels can be both! 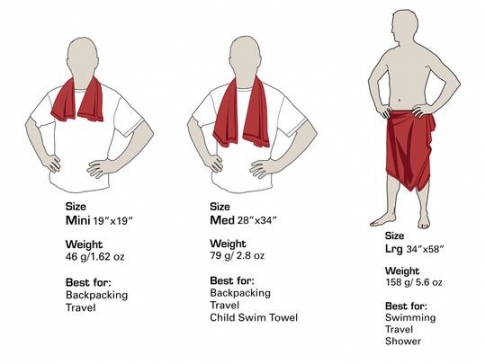 Traditional travel towels can get stiff and scratchy after a few days. These towels are NOT Microfiber! They are made from a silky high-tech fabric that outperforms other towels. Discovery Trekking towels will not get stiff and scratchy or leave you covered in fuzz. They offer high sun protection and sand won’t stick to them at the beach! 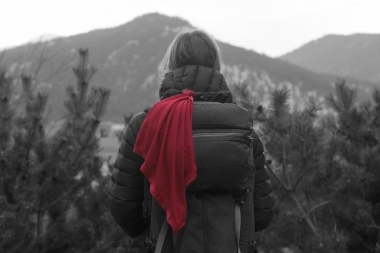 This towel was developed for ultralight backpacking and won’t weigh down your pack. It is whisper light and compact, allowing you the luxury of a multi-use towel on your trip. The safe antibacterial treatment keeps odors at bay between washings. Towels remain soft and supple. Don’t let the softness fool you, you’ll wear out long before this towel does! This is Not a typical towel, for best results don’t rub, just pat skin dry. Just how small are these towels? The Medium, when folded, is approximately the size of a cell phone AND they pack even smaller and can be squished into very tiny spaces. NEW! Introducing Limited Edition Prints! We are experimenting with a new print process that is extremely vibrant. This Kinetic Colorization technology is both beautiful and functional. The prints will not fade. Available in the Extreme Ultralight towel, Large size (34” x 58”) only. Whale Tail is a National Geographic print that features photographs of whale flukes colorized to make a gorgeous pattern. The other 4 prints are pop art by US artist Dan Fenelon. NOTE: Only 1 Master Kats left in stock! These are in extremely small production runs, and not likely to last long! Washing Instructions for Discovery Trekking towels - Machine wash and dry or hang to dry. Note: Should you find any smell lingering on your towels it is generally a result of body oil, lotions, deodorants etc... To “unclog” the fibers and refresh your towel we recommend the following. Wash in warm or hot water without detergent, adding 1 cup of vinegar. Wash a 2nd time without detergent, adding ½ cup baking soda. They will be as good as new! We're also told adding Borax or Washing Soda (found in most grocery stores) works well. Perfect for home, pool or beach or travel!